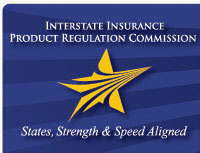 Arizona is a member of the Interstate Insurance Product Regulation Compact (IIPRC). Insurers seeking approval for life or annuity filings are encouraged to utilize the Compact. For more information, visit the IIPRC Insurance Company Resources page at http://www.insurancecompact.org/industry_resources.htm. ANNUAL EXEMPT FORMS REPORT: Submission of the annual report of exempt forms, pursuant to Director's Order No. 15A-005-INS Exhibit B, should be made via the SERFF system and should no longer be submitted in paper form. The report should be submitted on SERFF as Filing Type: “Annual Exempt Forms Filing.” Include any cover letters and/or lists of form numbers and attach to the Supporting Documentation tab. This report is due on or before June 1st each year. Administrative Order 15A-005-INS: Life and Disability Form Filing Exemptions; Group Long-term Care Form Filing Exemptions (Note, Exhibit A applies to advertising).